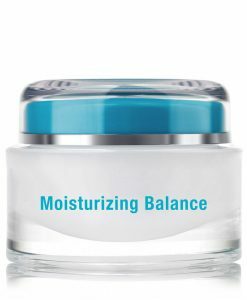 QMS Medicosmetics is formulated by Dr. Med. 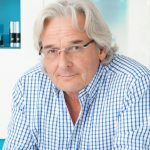 Erich Schulte, an aesthetic surgeon, lecturer and international authority on skin aging and skin regeneration. His research is based on collagen enhancing technology to create a bespoke regenerative system of skincare. Skin reflects the accumulated damage of the environmental conditions and the neglect it has been exposed to. The damage is similar to when skin has been burnt or wounded. It persists in the form of scarring and is therefore seen as marks on the skin and changes in texture. Aging appearance of the skin is also due to a lack of collagen. With chronological aging skin slows production of collagen thus the effective treatment for wounded skin, exposed and aging skin is absorption of collagen. 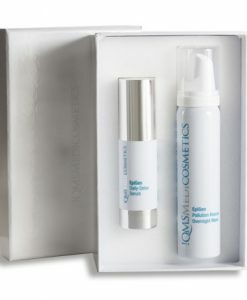 QMS Medicosmetics products can be used individually but by using a combination of products leads to even better results as they work together to transform skin. The Classic Set of Exfoliant Fluid, Day Collagen and Night Collagen are still the foundation of exceptional skincare and available to consumers. Despite being at the forefront of skin treatment Dr. Med. Erich Schulte did not rest on his achievements and continued to challenge the limitations of skincare. In 1993 he set up the Derma Research Laboratories to research processes of skin damage and formulate effective treatments to incorporate into the skincare range. His research is focused on delivery techniques to enhance the metabolism of the ingredients in addition to searching for unique ingredients and high-tech delivery systems. 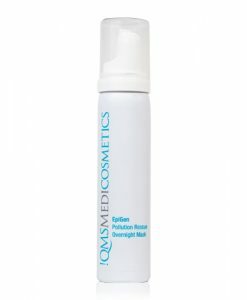 The signature of QMS Medicosmetics is to incorporate optimum concentrations of active ingredients in formulations. This maximises absorption and effective action of the ingredients, with each product developed from a medical understanding of skin functioning. The original formulation of Night Collagen was developed in a surgical context and was so effective at improving skin tone and appearance that it led to the development of the QMS Medicosmetics range for use at home. 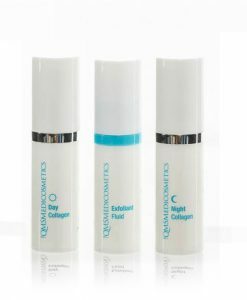 The Classic Set of Exfoliant Fluid, Day Collagen and Night Collagen is the foundation of daily treatment for facial skin and targeted treatment. Consumers can add specific products to customise their skincare to treat areas of concern and suit their needs. 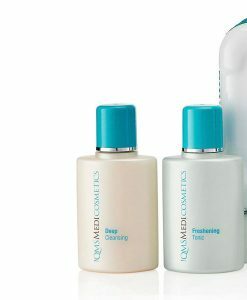 Complementing the effective treatment of facial skin is the QMS Medicosmetics bodycare range which delivers the same high level of performance to body treatment, transforming the appearance of skin as well as moisturising. Neck & More nourishes the delicate skin of the décolletage. Further enhancement of skin condition is provided by Intravital the nutritional supplement designed by QMS Medicosmetics to recondition, regenerate and protect skin by enhancing the collagen production cycle and providing an advanced combination of anti-oxidants. In the 1970s Dr med. Erich Schulte worked at the Maxillo Facial Department for reconstructive plastic surgery at the Göttingen University Clinic in Germany. His patients were mainly severe accident and burn wound victims. At the time surgery could lead to the reconstruction of the shape of the face but skin remained scarred and damaged. Dr. med. Erich Schulte researched wound healing and found collagen to be highly significant. He knew that if he could find a way to reintroduce collagen into the skin, scar formation would be reduced and skin could be regenerated. Dr. med. Erich Schulte went on to work in the field of aesthetic and cosmetic surgery. He continued to scientifically investigate skin regeneration. 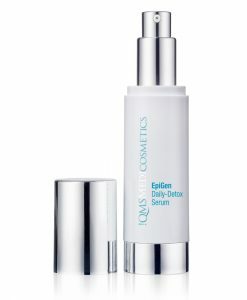 This led him to develop a unique method to condition natural soluble collagens so that they can penetrate into the epidermis and be applied topically to skin thereby allowing skin to regenerate. 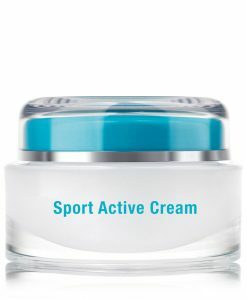 Due to visible improvements in skin texture as well as skin healing when used in post-operative treatment. He used the products for pre-operative treatment as well and found exceptional results could be achieved. In 1987 he developed QMS Medicosmetics as a complete skincare and rejuvenation system of products available for use by other surgeons, in beauty salons, spas and at home.